A few members of Ravara Productions represented the company at the bi-annual Ballygowan Fun Night 2010. Thanks to the Ballygowan District Community Association for the stall and support. 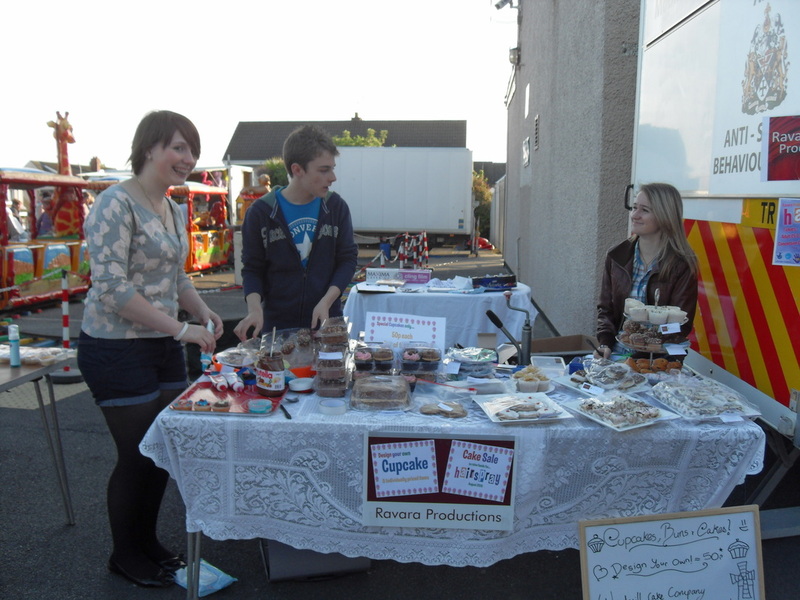 It was a very successful fundraising effort raising £100 for our summer 2010 production of "Hairspray". The cup-cakes sold out within the first hour, proving to be the most tempting "bakes" on sale (these were kindly donated by Windmill Cake Company, Saintfield). We would also like to thank the other members of the company who baked for this event.